Diamonds, they say, are a girl’s best friend, but rough diamonds in Marange, Zimbabwe seem otherwise. The diamonds have brought a myriad of problems to more than 100 000 people living around Marange diamond fields. The diamonds which were discovered in 2006 brought hope to the poor Marange community, but 10 years on, the villagers are yet to reap the rewards of living close to arguably one of the richest alluvial deposits in the world. Instead they slipping deeper into paucity. Since formal mining in Marange started in 2009, villagers have lost their farmlands as well as pastures to the diamond mining companies. And today many villagers are on the verge of starvation. “Many people have lost their farmlands to the diamond companies and they have not received any compensation. Local people have also not being employed in the mines,” a local villager, Malvern Mudiwa told this reporter. And besides, members of the security forces- soldiers, police and secret services- seconded to guard the diamond fields have been accused of various human rights abuses against local people. These abuses include torturing people suspected of involved in illegal diamond mining; some have been seriously injured according to a report by the investigative NGO, the Centre for Research and Development. The government had licenced private companies to mine diamonds but in February this year the Minister of Mines and Mining Development, Walter Chidhakwa abruptly stopped the companies from mining. Chidhakwa said the companies had resisted attempts by the government to consolidate the diamond companies into one entity, the Zimbabwe Consolidated Diamond Company. He argued that having one diamond company would help to enhance transparency and accountability in the diamond sector. The diamond mining companies were Mbada Diamonds, Anjin Investments, Jinan, Kusena, Gye Nyame, Rera and Marange Resources. Only Marange Resources which is wholly owned by the government was spared axe. The other companies were 50/50 partnerships between the government and private companies. Diamond mining operations in Marange have been shrouded in secrecy with a lot of underhand dealings reportedly going on in the area. Negligible revenue from the companies have gone to the fiscus through taxes or royalties- a levy based on production. Diamond companies were required by law to remit 15 percent royalties to government and 2.5 percent depletion fees through the Zimbabwe Mining Development Corporation. And the companies have also reneged from their earlier pledges to deposit US$10 million each into the Zimunya-Marange Community Share Ownership Trust. The pledges were made in 2012 during the launch of the trust by President Robert Mugabe but only US$400 000 was deposited into the trust. And when the company executives appeared before a Parliamentary Portfolio Committee on Youth, Indigenisation and Economic Empowerment, they said they never made such pledges. “We never made any pledge to the trust but contributed to the trust out of our own understanding about the need to empower the community,” Mbada Diamonds chairman, Robert Mhlanga, told the parliamentary committee in 2014. But people in Marange were hoping that the rich diamond companies would invest in resuscitating irrigation schemes in the area or any developmental project as required by the country’s Indigenisation and Economic Empowerment Act. Or still as part of the companies’ social responsibility programmes. “It was our hope that since diamonds were discovered in our area the companies would help us with self-help projects to alleviate poverty. We are in a region where rainfall is very erratic and this year has been worse,” said Mudiwa who also chairs a pressure group, the Marange Development Trust. But a former finance minister who now leads an opposition political party, Tendai Biti the diamond companies could have “spirited away over US$14 billion in the past seven years”. “They looted, in my calculations, over $14 billion at an average of $2 billion per year,” Biti who is now the leader of People’s Democratic Party was quoted in the local media as saying. And in his 92nd birthday interview with the Zimbabwe Broadcasting Corporation aired on March 3 2016, President Robert Mugabe admitted that the government had not received meaningful returns from Marange diamond fields and that private companies mining had robbed the country. President Mugabe said than less than $2 billion was remitted from diamond proceeds and those seconded by the government to work with private companies did not help matters as they also failed to account for the gems. “We have not received much from the diamond industry at all. Not much by way of earnings. I don’t think we have exceeded $2 billion or so and yet we think that well over $15 billion have been earned in that area,” he said. In an interview, James Mupfumi who is the director of Centre for Research and Development said opaque mining practices have deeply impoverished local communities while the companies are pillaging the country’s natural resource for individual gains. “The people of Marange have a legitimate right to claim compensation from mining companies for forced displacements and environmental degradation. The government is in complicit by disregarding this legitimate expectation,” Mupfumi said. In the meantime, the civil society has called on the government to come up with a Diamond Act to regulate the whole diamond supply chain in Zimbabwe. This would enhance transparency and accountability. 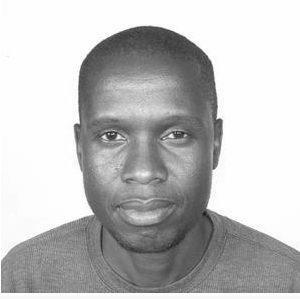 Andrew Mambondiyani is a journalist based in Zimbabwe with a special interest in climate change, agriculture, sustainable development, human rights and the environment in general. Between 2010 and 2011 he served as a Knight Science Journalism Fellow at MIT (USA) and in 2008 he was a Middlebury Environmental Journalism Fellow (USA).